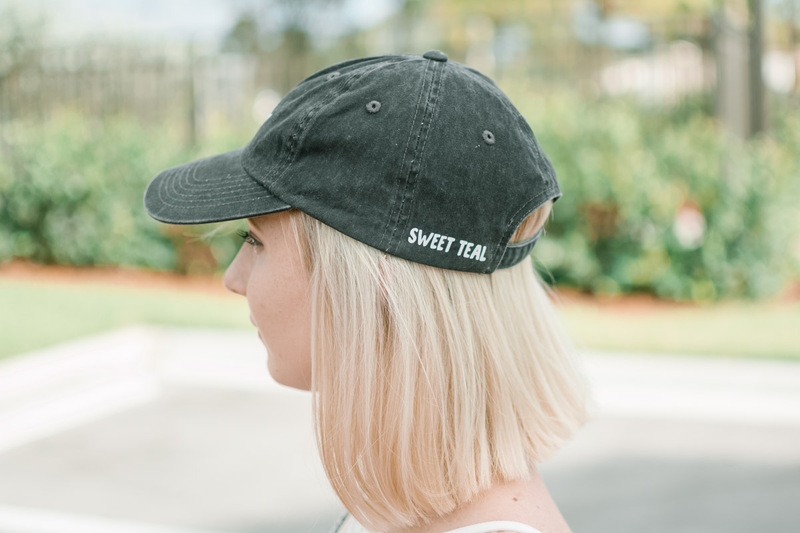 It’s officially summer and that means the sunshine is extra bright, you need a hat! But you don’t need just any hat. 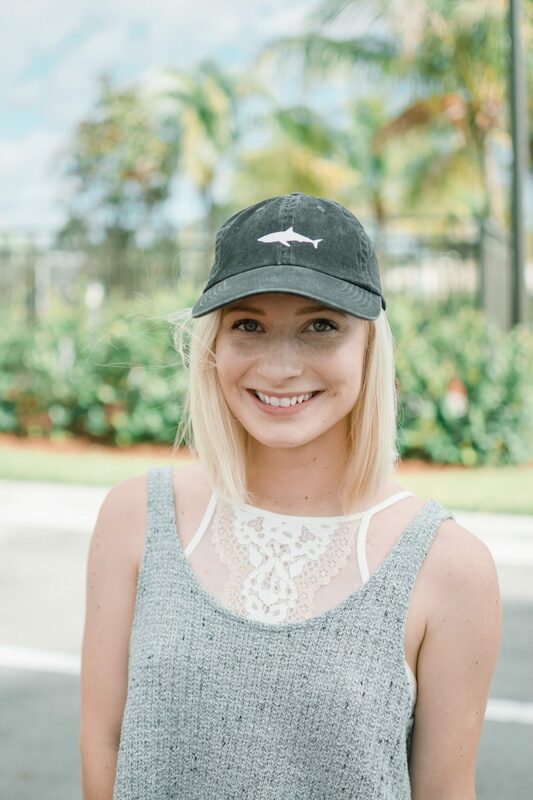 You need a custom baseball cap and one that has to do with the season. 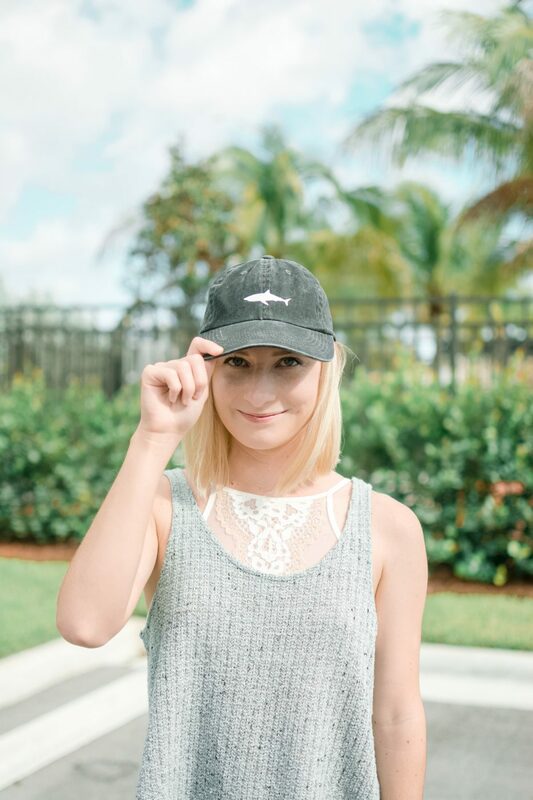 A shark cap will do! 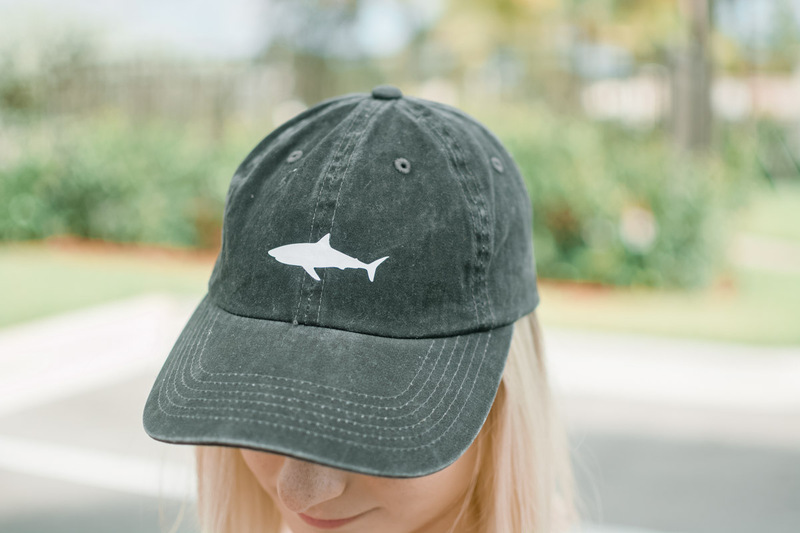 I have a thing for sharks and thought it would be cool to put one on a cap for summer. I also added my blog name on the back because it was just too fun. I love how you can customize things with decals! 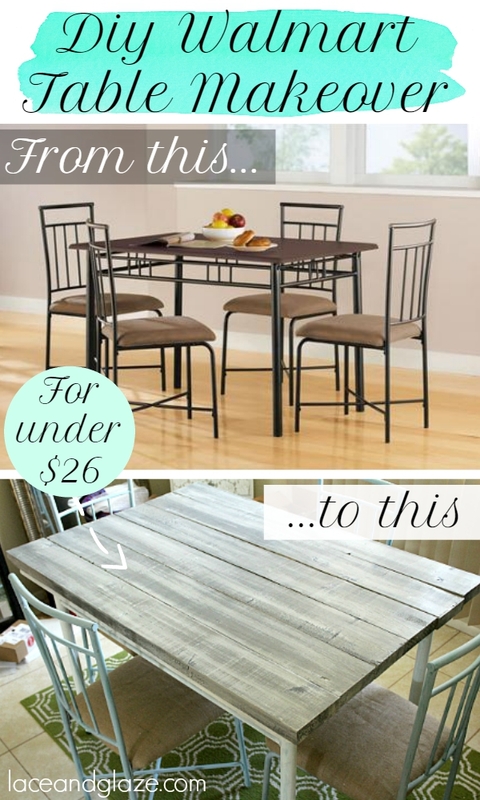 It’s so easy and almost any fabric can host a decal. I accidentally printed two sharks and put one on my jean jacket! I also threw a little “sweet teal” on there to represent. 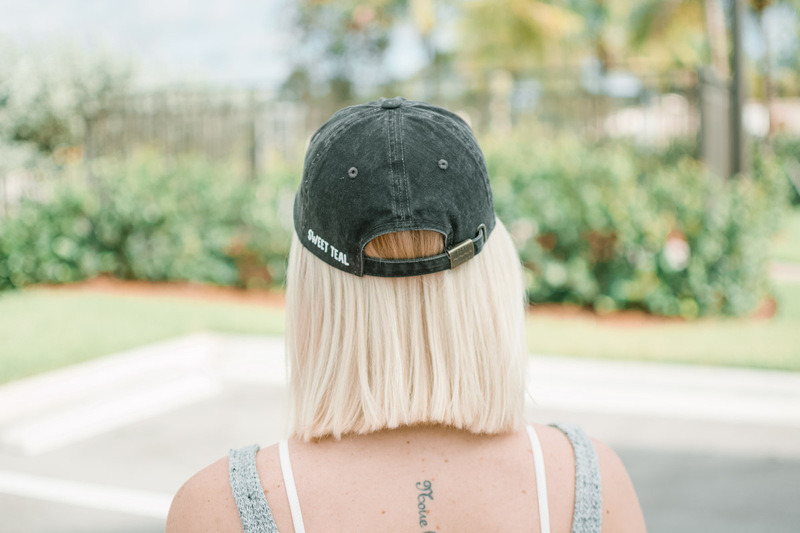 If you want to be unique too and make your own ball cap decal, keep on readin’. Get the decal ready in the Silhouette Studio. I used this shark and made it into a Silhouette Studio file, which can be downloaded here. It’s already sized in the file to be about 2 inches, perfect for baseball caps. Print it out on the Cameo and then cut out a rectangle around the shark. Using the Pick Me Up tool, peel off the outside vinyl. 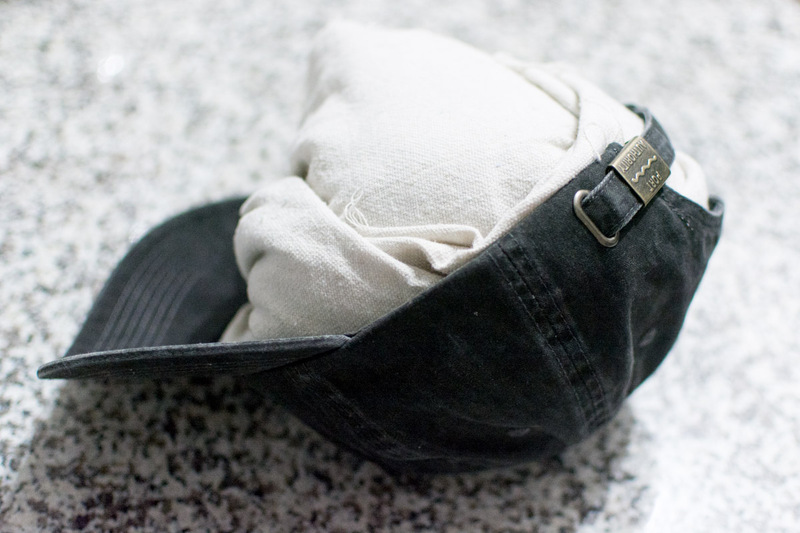 Place a towel inside of the ball cap to fill it. Place the sticky side of the decal on the hat and then lay a flour sack towel on top. 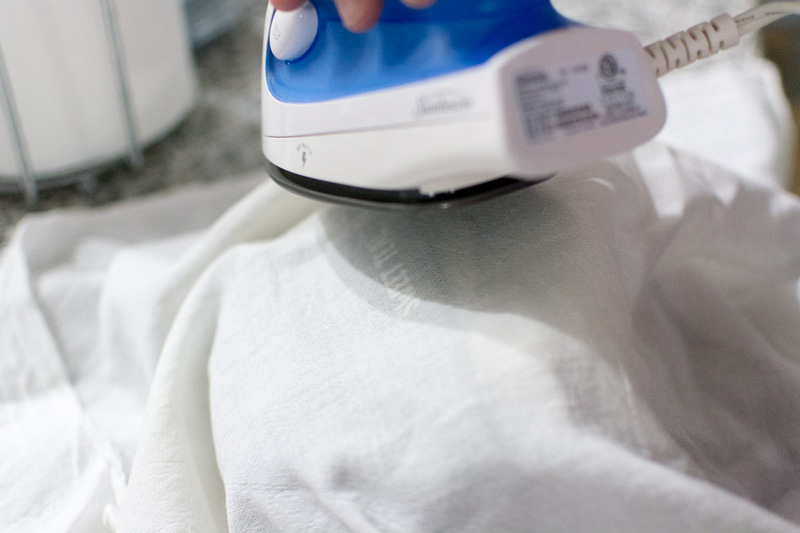 Press the iron on top (making sure it’s covering the decal) and hold it there for a minute. Remove the flour sack towel and peel the plastic film off the decal. Place the towel over the decal again and iron over it once more. 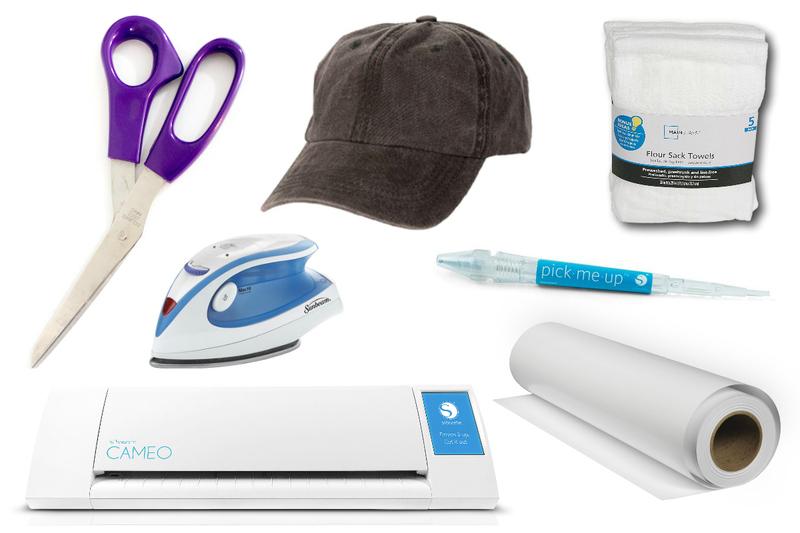 If the decal doesn’t stick to the hat, repeat the ironing process until it does. What image would you put on a cap? I’d love to know in the comments below! 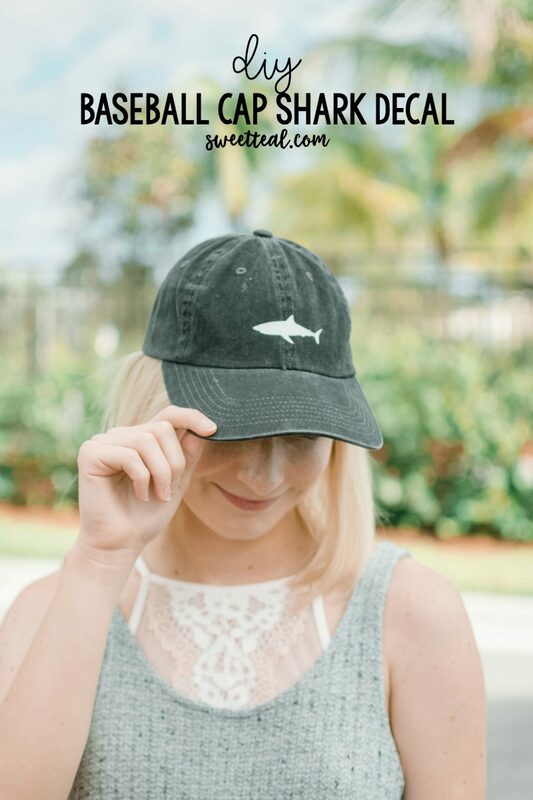 See another DIY hat perfect for summer here.